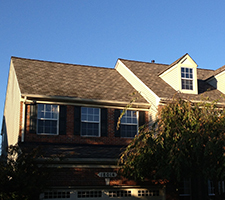 Metropolitan Design/Build is a fully licensed roofing contractor that has been doing business in Alexandria and the metro area for two decades. Every roof is different, and with each roof comes its own different set of problems. In our area, the four distinct seasons expose roofs to several different types of weather temperatures and conditions. Roofs in our area are exposed to the high heat of the summers sun, heavy spring rains, and the harsh hand of old man winter with cold temperatures and many years large amounts of snow. Even the best roofs in eventually wear out from our harsh seasons. At Metropolitan Design/Build we are GAF certified roofers experienced in inspecting and replacing area roofs for signs of potential problems. 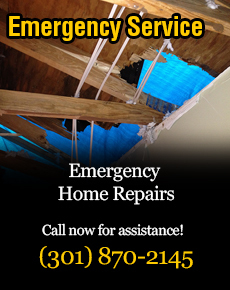 We are able to advise homeowners if issues can be repaired or if a new roof is required. There are many items to inspect while examining a roof such as the overall condition of the roof material (shingles, metal, cedar shake, or slate to name a few). We inspect, the roofs flashing, roof vent pipes, ridge vents, how your roof is designed to run water off and if it’s doing the job properly. We also check to make sure your roof requires caulking or other repairs. Whether you need a full roof replacement or a small roof repair Metropolitan Design/Build can help you fast and do the job right. If your home has been damaged by a recent storm and you need a roof inspection you can count on us to provide you with a professional and honest roof inspection. We will advise you on all our options for roof replacement or roof repair to ensure you protect your home. We have worked hard over the years and have established a great reputation. Allow us to provide you with the same superior service and craftsmanship and we’re sure you be happy also.